Manoj Kumar Sinha (pictured), Professor of Law at National University of Juridical Sciences, Kolkata has been appointed as permanent Director at the Indian Law Institute, Delhi. Prof. Sinhad had earlier served as Director at the Indian Society of International Law, New Delhi, India from May 2006 - March 2009. Prof. Sinha has confirmed about his appointment to Live Law. He said he will take charge in two weeks. 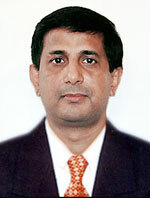 Detailed profile of Prof. Sinha can be read here. Earlier, Live Law had reported that the Institute is functioning without a permanent Director for the past three years.